A new set of graphics driver is available for Intel 4th/5th/6th generation GPUs. This driver supports Star Wars Battlefront*, Defense of the Ancients* (Dota) 2, Brink*, Call of Duty*, Wolfenstein* game play fixes and other bug fixes for all supported products. 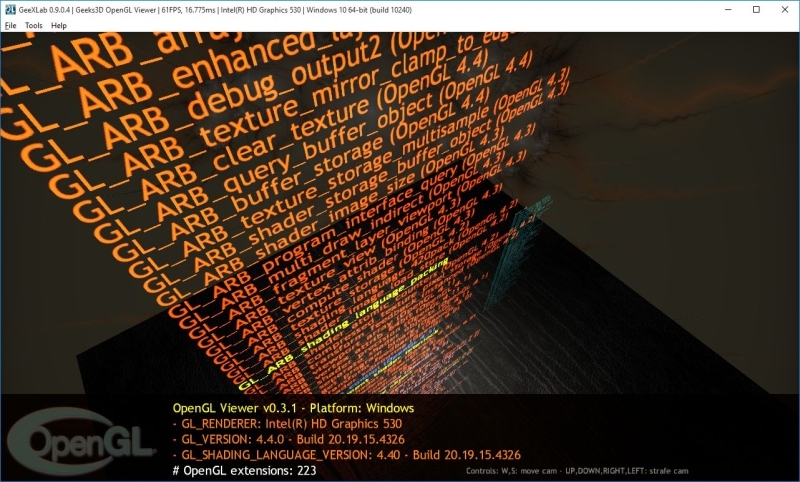 Intel v4326 is an OpenGL 4.4 and OpenCL 2.0 driver and exposes 223 OpenGL extensions for an HD Graphics 530 on Windows 10 64-bit. Intel 20.19.15.4352 driver for Skylake.